In this project, I am planning to creative a flash website, to display all the works I have done during the AIT study period. Since we have done many works in AIT, I don’t just want them to lie on my hard disk, I want to display them, share with people, and turn them into real value. Introduce my self, include name, education background. In this area, some information about my skill will be introduced. I will also put in some of my design experience relate to poster design, CD cover design, 3d animation scenes, website design, letterhead design, business card design, etc. There will be a link to a Flash gallery. Therefore people will be able to visit the real artworks I have made. I will put my design works here, so visitor will be able to see the real artworks I did before. It’s a flash dynamic gallery, and I will make a simple backend so the content can be easily updated. I choose Flash to coding my website because I want my website to be looking creative, not just a general looking website. Flash will help me to produce more creative effect. This is the pre-loading interface design. In the middle of the windows,there is a logo which looks like a mouse cursor,is zooming in and zooming out. This is the contact page interface design. 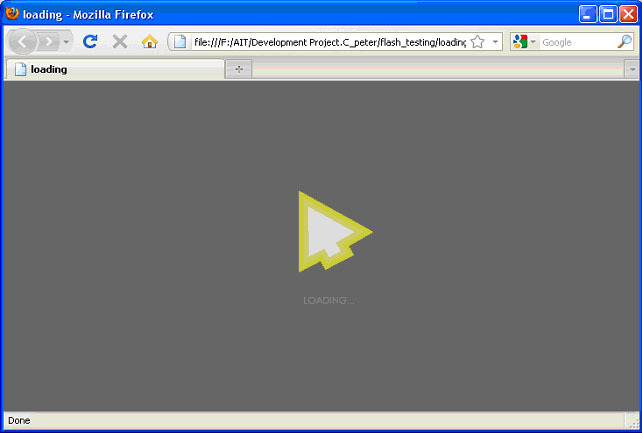 It’s made by flash but link with a php file,to handle the real sending email process.